I have never been much of a joiner. 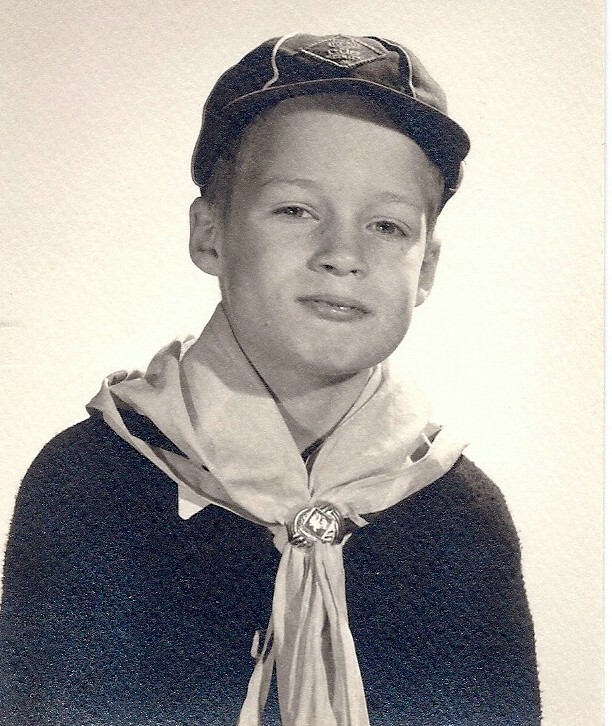 The only club I remember belonging to was the Cub Scouts, and that was only for a few weeks in third grade. Seems all our den mother Mrs. Coulson wanted to do was take us over to Steinberg Rink in Forest Park to watch her son Billy ice skate while the rest of us just stood around sliding our neckerchief rings up and down over our tidy blue uniforms. Point being — as I heated up a dime to throw out onto the ice — I didn’t see any merit badges coming out of this except maybe for anger management or leg-splinting. So after a few more hot-dime tosses trying to get Billy to trip and break something, I quit the scouts. Thus when some people asked if they could put my name up for nomination to the Running USA board of directors last year (2010), my initial response was “of course not”. Notwithstanding, through no fault nor campaigning of my own, I received a call during the holidays telling me that I’d been elected to the 17-person board. Now I could easily be the odd man out here – usually am – and everyone else could be absolutely right: running is, has been, and will forever more be nothing but a minor, niche sport with a heavy emphasis on participation over competition. But what has lingered over these 30+ years I’ve been involved in the sport is Houstonian David Hannah‘s astute observation: “A long time ago running made an unconscious decision to be a closely held secret”. My question, therefore, has always been: what if we made a conscious decision to be something else without loosing all that we’ve become? As we head into the spring of 2011 the face of running to America is middle-aged, white people jogging to the oldies for charity. These are nice faces, smiling, happy faces – a lot like Billy Coulson’s mother’s face as she watched her offspring glide around Steinberg Rink avoiding hot dimes. Last year such faces raised nearly a billion dollars for charity through American road races. In their profusion these faces are the very underpinning of the ongoing registration boom in distance events nationwide. Yet even as nearly a billion dollars is raised for charities, only a handful of millions are put up for professional racing. And while charitable institutions like the Leukemia & Lymphoma Society’s Team In Training build national programs to better leverage their fund-raising efforts, races remain eager to grasp for the few extra entry-fee crumbs offered by those institutions, thinking, somehow, that it’s an even split, which of course it’s not. At one time I believed the tail was wagging the dog. I’m now of the belief that the tail is the dog. As a result, racing continues to be the poor cousin of the industry, and the general public would likely be just as surprised to learn that there was any money whatsoever in the sport as they were twenty or thirty years ago when pure amateurism still held sway. What money there is today is so scattered and haphazard as to be invisible from afar. Even the mighty Competitor Group, which keeps extending its mega-popular Rock `n` Roll event brand, has chosen not to create a corresponding, across-the-platform branding signature for its pro race elements. Instead they stage an array of sometimes local, other times regional, occasionally national, and in Carlsbad, San Diego, and Philadelphia, Pa. even international lineups. But there is no discernible narrative linking any to another. When the best marketers in the industry don’t see any advantage to professional racing as an integrated element of their portfolio, perhaps that might be seen as a disquieting turn to those with a deeper vested interest in the future of the sport. It’s a bit ironic, too, since when RUSA was founded in 1999 it’s very purpose was to address the issue of America’s fall off in international racing. Thus was the Mammoth Lakes Track Club formed as Team USA California under the tutelage of coaches Bob Larsen and Joe Vigil, and funded by Running USA. In 2004 both Meb Keflezighi and Deena Kastor won Olympic marathon medals in Athens coming out of Mammoth Lakes. In 2009, after years of supporting the development of American distance racing, RUSA pulled that support and has since morphed into a trade association more focused on the health of industry rather than on the sport that fronts it. That change became abundantly evident in our first 2011 board of directors meeting in San Antonio in mid-February. Perhaps that change is understandable, since the job of developing running and track and field in the USA, by law, belongs under the USATF umbrella as national governing body. But since it was the very lack of runner development by USATF in the 1990s which gave rise to RUSA in the first place, you wonder why RUSA didn’t maintain course. One reason offered is that funding the Mammoth project was too financially onerous, and that RUSA could not sustain itself by continuing to do so. Co-founder of RUSA, Basil Honikman, who is no longer involved with the organization, disputes that claim. This year the RUSA has $200k in the bank, and its auction raised $53,000 – $25,000 of which went to the Greg McMillan-led Team USA Arizona. One reason for the change in direction remains the benign neglect of the individual event base of RUSA to contribute to the development of American running. While everyone would like to reap the benefits of an improved American crop of running stars, nobody seems willing to lend financial support toward that end. Former Atlanta TC president and USATF Women’s LDR head Julia Emmons, a pioneer in race management for the Peachtree Road Race, once told me the following during our time together on the Running Task Force, a seven-person ad-hoc committee which studied these same issues back in 1994. How do you argue with that? It’s pretty much the same NIMBY argument – Not In My Back Yard – used against raising taxes at any governmental level today. And look at the results, everyone’s backyard is under water financially. There’s an old adage that there are two times to institute change, when you’re on top, or when you’re on bottom. But more to the point, what if what seemed vague back in 1994 had a more tangible benefit today, i.e. the welfare and future of the next generation? Because that is the argument. If you want to appeal to kids, you better not offer the sport as an “eat your vegetables, it’s good for you” pitch. No, you need a hero. And heroes are more often made than born. Currently, the alphabet soup organizations, USATF, RRCA, and Running USA are attempting to join forces to create a national kids’ initiative called Discover Running — Running Rocks. Like First Lady Michelle Obama’s Let’s Move initiative, the NFL’s Play 60, and the NBA’s NBA Fit, Discover Running is an attempt to address the epidemic of childhood obesity. A worthwhile goal for certain, and perhaps even groundbreaking in bringing historically defensive organizations together working toward a common goal. Yet it has always been my belief that RUSA should assist in creating a coherent structure upon which to hang the member events and athlete performances who share this goal in order to better “promote, celebrate, and build the sport”. This is especially so if reaching the young is the goal. Because no matter how nice a face it is, middle-aged white people jogging to the oldies for charities ain’t the face that’s going to inspire the young. In fact, it might just do the opposite, which is why I thought RUSA should have wed their original intent, creating new running stars, to their current kids outreach. Without heroes and their glory on public display, running can’t compete against the other mainline sports for the dreamscapes of the young. And we certainly don’t want to keep peddling that phony “everyone’s a winner” line, which only teaches them that ‘nobody is a winner’. And after a while who’s going to continue doing that? When did it stop being the American way to strive toward exceptionalism and reward excellence? Notwithstanding the USATF Running Circuit, which does little more than tag onto local events and their prize purses, while offering no coherent calendar staging – the national half-marathon championship in January one week before the national cross country championship? – what we have is a series of independent events, each a universe unto itself, filled with an active, but generally non-competitive gathering of strangers. Like so much in the sport, it’s big enough to survive, but not coherent enough to thrive. But it is a start. And what a beefed up structured competition could best offer is focus, and the potential for a connective tissue among events so that media and fans have something cohesive to follow like in every other sport. When I was at the Prefontaine Classic last June in Eugene, Oregon, the young guys at Nike came up with an idea called Nike Track Nationals. Just like Nike Cross Nationals, which gave form to a national cross country team championship, Nike Track Nationals offered a similar championship platform to the track teams. Throughout the school track season Nike staged a nationwide virtual competition during which coaches submitted their best times, heights, and distances in the traditional decathlon events. After scoring the performances, the top eight regional points leaders and four more at-large teams were brought out to Eugene at the end of the season where the night before the Pre Classic they were pitted against one another for the Nike Track National title. We did a live webcast of the meet, and it worked beautifully. Every event was tied to every other event with the competition for the national title coming down to the final race. Yet throughout the evening nothing really changed at the event-level where every kid tried his/her best to out run, out jump, and out throw everyone else. But with the team-scoring format in place, there was a connection that brought the whole meet into a sharper focus. In the end, Vista Murrieta TC of California won the title for boys, and Chandler TC of Arizona took it for the girls. At the following day’s professional track meet, once again we reverted to every event standing alone with nothing connected to anything else. In essence, the athletes were doing nothing more than sharing a venue while representing nothing more than themselves and their shoe companies. And this is coming out of one of the great marketing companies on the planet. When there is more meat on the high school bone than the professional one, we have a fundamental misalignment. Today there is nothing across Wright’s chest but a Nike swoosh, and that sense of connection to anything beyond the self has been completely lost. I heard the same from ex-Arkansas Razorback star Allistair Cragg, who makes his marathon debut in Boston this April. Cragg was having a hard time finding his racing head after leaving Fayetteville for Mammoth Lakes last year. He was unmoored without the support that helped develop him in high school and college, support which dried up post-collegiately. This system of solitary, independent athletes competing in non-aligned events for publicly hidden stakes, has shunted track and running completely off the nation’s sports pages and projected participatory jogging and billion-dollar charity fundraising onto the front pages in the Living section. For track to have any chance at renewed popularity, it needs to be restructured toward a fan orientation so that kids will want to take up the sport as happened several generations ago when Frank Shorter and Bill Rodgers inspired an entire generation. But we need to create connective tissue between and among our member events on a racing level in order to give form to the athlete’s efforts. And even if the greatest runners remain foreigners, that doesn’t mean we can’t be competitive. The first thing a city does when it builds a new light-rail system is to link up with the major transportation hubs in the area like the airport and train station. In the sport of running the New York City, Chicago, and Boston Marathons are the big hubs in our universe. The Rock `n` Roll Marathon Series is another, though as a purely for-profit operation it is far less concerned with costly competition than the World Marathon Majors. Last year, for the first time in many years, the two winners of the ING NYC Marathon, Ethiopia’s Gebre Gebremariam and Kenya’s Edna Kiplagat, raced the American road tour leading up to their big wins in NYC. Historically, marathons have signed athletes independently to single-year or even multiple-year deals. But they haven’t signed them to multiple race contracts leading into their marathons in the same calendar year. Isn’t it time to link up feeder events as the new spur which lead athletes to the major events? At present it does no one any good for anonymous foreign athletes to sequester themselves in isolated training camps for three months only to lift their unknown heads for one day of racing. Doesn’t matter how fast they may run, nobody knows or cares about them. We need to correct that imbalance in a structural way – and perhaps USATF and RUSA aren’t the best vehicles to achieve that goal since they’ve shown no inclination in that direction whatsoever. But we need to get all the athletes on the same page competitively, while at the same time we “promote, celebrate, and build the sport”. Either that, or does anybody out there have a match? You make some very interesting points, particularly about the prize for winning the running circuit being less than what some single events award. Until we find a way to get the average runner who is just interested in finishing that marathon, even in 7 hours, to take an interest in the elites and choose races based upon their support for elite runners, it will be a tough sell for more race directors to put up more $ for elite fields. I remember a comment someone made, what good does it do me (the race director) to put up money for an elite field when my race sells out every year without them? Until we figure out a way for race directors in this position to benefit, it is a tough sell. The Rock N Roll series always has a few elites but generally avoids the high price talent (with some exceptions). Claudia, THis is where the kids’ angle comes in. Just as we trade off economic impact for street closings on the adult side, we now propose the Kids to Heroes link as the rationale for a separate Saturday race on a closed course. Hopefully, we choose areas wisely, but if cities continue to shun P.E. classes in schools, then we end up helping fulfill that component. Therefore we serve as partners in a widely accepted need. And you remember, Toni, back in the 80s in FL in particular when 5Ks were held on criterium courses, the “peoples” race first, then the elites raced. You had a built-in audience. Elite Racing (pre Competitor Inc.) followed the same model with races in Palm Desert and LA, that continues now with the Carlsbad 5K. Of course one of the biggest challenges for every race organizer in the current economic climate, from the NYRR to the local high school track team fund raiser 5K, is the cost of producing events that take place over an entire weekend. How do we balance our desire, and the real need to introduce more young people to the sport while creating more fans, with the reality of rising costs, which even though I’m not an economist, I imagine aren’t ever going to go back down? Thanks for the reply. I, too, liked the 2008 Olympic Trials models in NYC and Boston with a pro race Saturday on a closed course (to help alleviate city service costs), and the people’s race on Sunday on the traditional course. We saw the same model on display in Houston Jan. 30th as they test ran next year’s Olympic Trials marathon course with the national half marathon championship the day before the traditional Houston Marathon. Boston instituted a 5K and high school and pro mile races for marathon weekend a few years ago to wide approval. This year they are instituting prize money in the 5K. Last November NYC also began staging a 5000m road race the day before the big dance. I think linking up the kids’ initiative with the pro race on Saturday in a Kids & Heroes format would go a long way toward creating the hero role models. Then having a people’s champion the following day would elevate the regional and local level athletes as well. The press, the public, the sponsors would all get two bites at the apple, not just one. Tennis and golf have always had that advantage over our sport with multiple days in the spotlight. Let’s keep thinking. Your post was very thought provoking. I wonder if the decline of pro running’s popularity is also in part due to the fact that the perceived difficulty of racing has decreased as well. Once grandma, runs a marathon it’s not seen as such a Herculean effort. Obviously she’s not running 2:20 but she was out there with the pros and finishing the event. The same can’t be said for other sports. You can’t line up against Kobe, Jeter or Venus Williams. There is a clear barrier to what they can do versus the general public. What kind of model do you see for the pro circuit? Maybe it could be set up in a similar fashion and the 2008 Marathon Trials. Pro race on Saturday and community race on Sunday. This model is obviously more costly, financially and logistically. Since the Trials in ’08, a lot of training groups around the nation are locally branding themselves much like the Oregon Track Club. The Bay Area TC and NJ-NY Track Club to name a couple. But to the casual sports fan, Phoebe Wright is just a runner in Nike kit. There needs something more compelling to gain back that kind of fan.